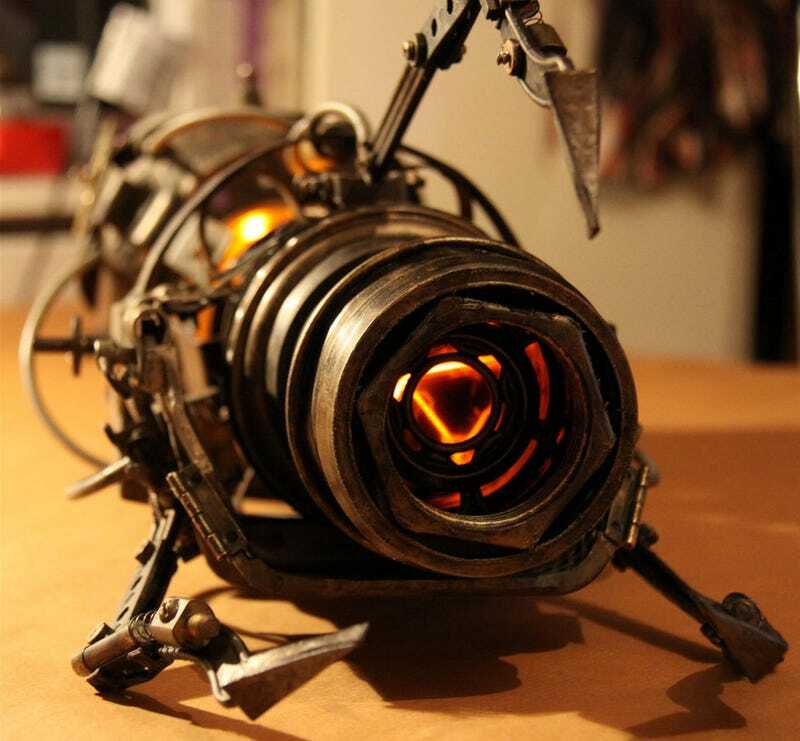 What Would a 19th Century Portal Gun Look Like? Needing an accessory for her steampunk Chell costume, DeviantArt user batman-n-bananas set about building a steampunk Portal gun. The results of which are here, and which are damn impressive. Like all the best models, it's made of the remains of many random, strange things. Like teapots, pianos, hair gel pots, antique clocks, an old hairbrush and some coathangers.